We talked to our former classmates and other young professionals interested in public service management to gauge how issues of female mentorship, likeability, and family planning and partners affect them. Our MPA program focuses specifically on developing local government managers and more than 75% of our graduating class were women. However, only a handful are pursuing careers in local government. Despite many discussions around the concepts of leaning in, concerns over weighing the dual roles of managing a local government and managing a household are salient for the next generation of leaders. Based on our conversations with our classmates and young professionals, one reason women are leaning out of local government management seems to be the perceived instability of leadership positions. There is a strong desire for women to fill leadership roles, but deputy or assistant roles were perceived as providing more stability. 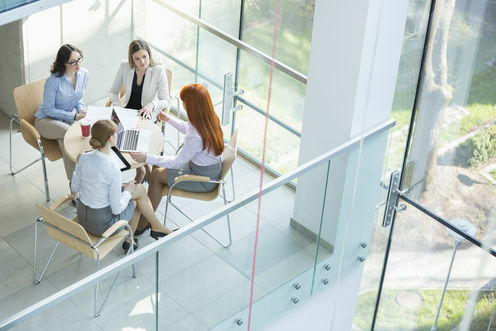 Another potential cause of the gap between the number of women graduating and women wanting to go into local government management are glass walls – relegating women to traditionally female roles within organizations. For example, two of the students we interviewed had received advice that they were particularly well-suited for careers in human resources when they were explicitly seeking advice about becoming local government managers. It is essential for women to gain a breadth of experiences that prepares them for being seen as management potential. Local government leadership is disproportionately male. Despite many discussions about giving greater emphasis to career planning, the young women we talked with are struggling to lean in at the time in their careers at which leaning in arguably matters most. With these issues in mind, what can current local government managers do to help our generation “lean in” more? 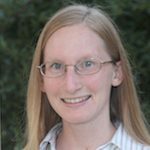 Megan Dale is an ICMA Fellow / Management Analyst for the Catawba County, NC Manager’s Office and a 2014 graduate of the UNC-Chapel Hill MPA program. Megan received her Bachelor’s degree from the University of Tennessee – Chattanooga. She was introduced to public service through work with community nonprofit organizations focused on education and social history. Her career interests include local government management and community engagement. Catherine Jahnes is a 2014 graduate of the MPA program at UNC-Chapel Hill. She currently works for Wake County's Division of Parks, Recreation and Open Space. She came to public service with a background in philanthropy and program evaluation. 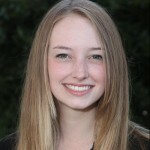 Catherine attended Davidson College for her undergraduate study. Her career interests include strategic planning, organizational development, and utilization-focused evaluation.